Are you building or buying a home or commercial property in Buffalo MN? Does your property have an On Site Septic System? If so, you may want to take a look at Tree Planting Guidelines Near Septic Components. Mound Systems, Drain Fields and Septic Tanks could be damaged by trees or shrubs planted in the wrong location. CSI Custom Septic, Inc. provides Septic System Repairs if this has happened to you. However, taking the time to choose the best trees to plant in each location can save you from ending up with Septic or Sewer Problems From Tree Roots. Choosing the wrong location to plant trees, shrubs or deep rooted plants can result in Expensive Sewer or Septic System Problems. Even a poorly planned vegetable garden can cause illness after eating contaminated fruits or vegetables. But, roots growing into the septic field can be the greatest risk to sewer lines, raised mounds and soil drainage fields. As a general rule it is best to plant new trees a safe distance away from your septic field. Tree planting distances can range from 25 feet to 100 feet depending on the type of tree. Ask your local arborist or tree specialist how tall the tree is expected to grow once it reaches its full height. Also inquire about the expected root range for individual species. 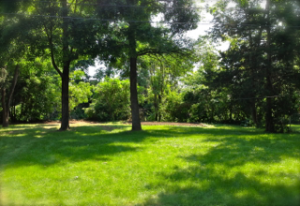 That is a simple Guideline For Planting Trees and Shrubs Near Septic Systems. Some types of trees have been known to cause extensive damage to Septic Systems when growing too close to a Mound System or Septic Field. On-site Septic System owners can save themselves much frustration and expense by placing problem trees far away from the Drain Field, Septic Mound and Septic Tank. If you are experiencing any of the symptoms of Sewer System Root Damage listed above, have a MN Licensed Septic Repair Contractor out to evaluate the root cause of the problem. CSI Custom Septic, Inc. provides excellent Septic System Repair work as an honest and cost saving service.